Fall is in the air, and what better time to reflect on how to enact change than during International Day of Violence and Domestic Abuse Awareness Month. Inspire patrons to make a new furry friend during Adopt a Shelter Dog Month or craft a new dish with some delicious recipes. You’ll find all this, plus movie screenings, book displays and DIY ideas, in the October Adult Calendar. 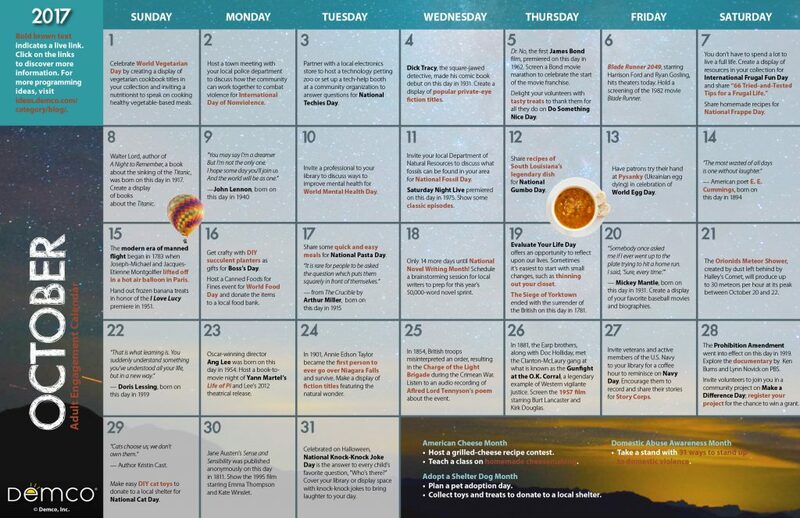 Download a printable 8.5″ x 11″ calendar. 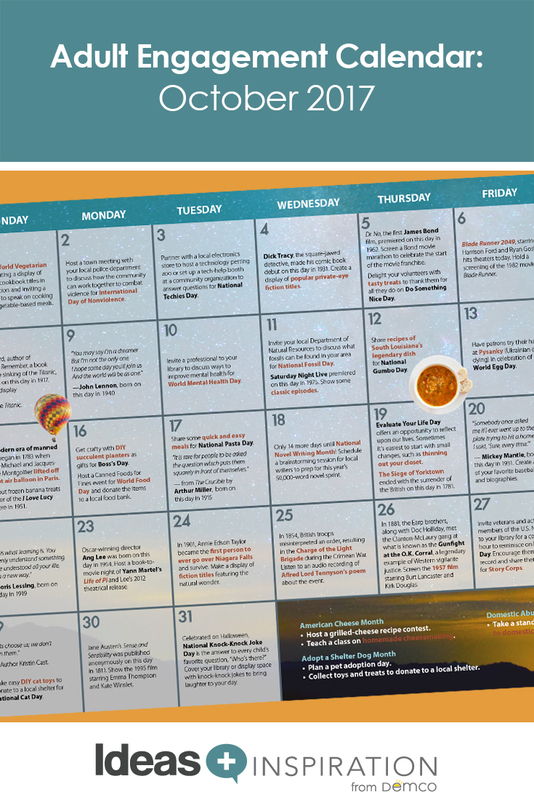 Download a printable 11″ x 17″ calendar.